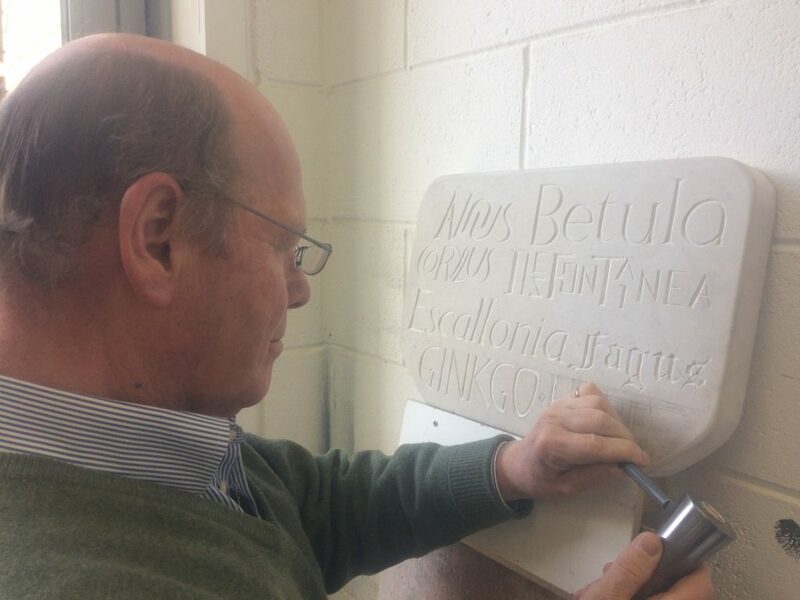 The Two Introductory Stone Letter Carving Course is held regularly throughout the year and takes place over two full Saturdays in the month from 10.00 to 16.30. The next course will take place on Saturday 22nd and 29th September 2018 and Saturday 10th and 17th November 2018 from 10.00 to 16.30. 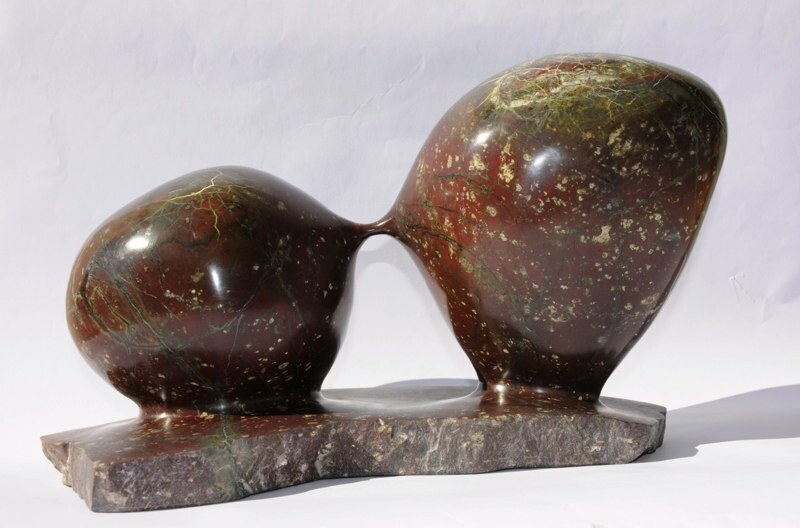 (Maximum 3 persons in Simon’s studio). Course price £160 and Tools and Stone can be borrowed or purchased. Gift vouchers are available and valid for 12 months. 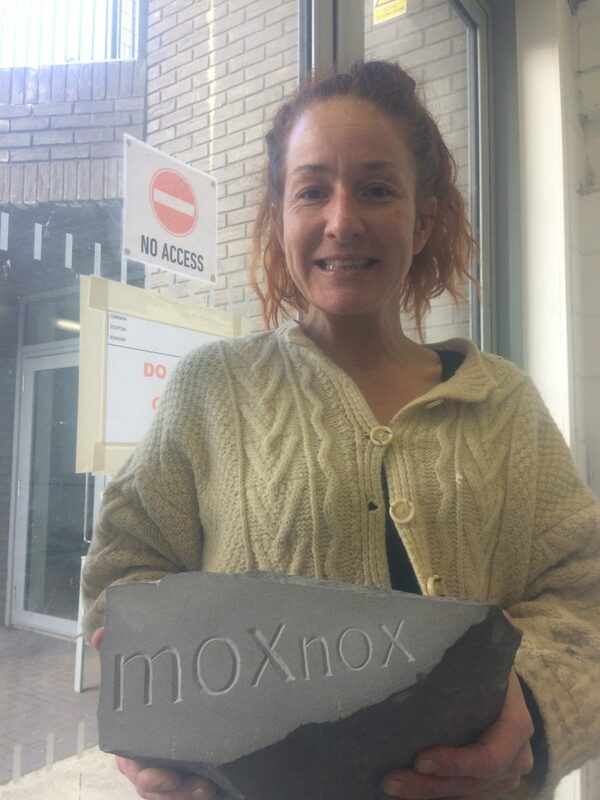 The Two Day Introductory Stone Letter Carving Course is designed for people who have little or no experience in Stone Letter Carving. There is a maximum of 3 to 5 participants and the courses are suitable for ages 12+ under full supervision. The course is held over two full days on a Saturday to allow people to practice in between the sessions and for the artistic process to begin. 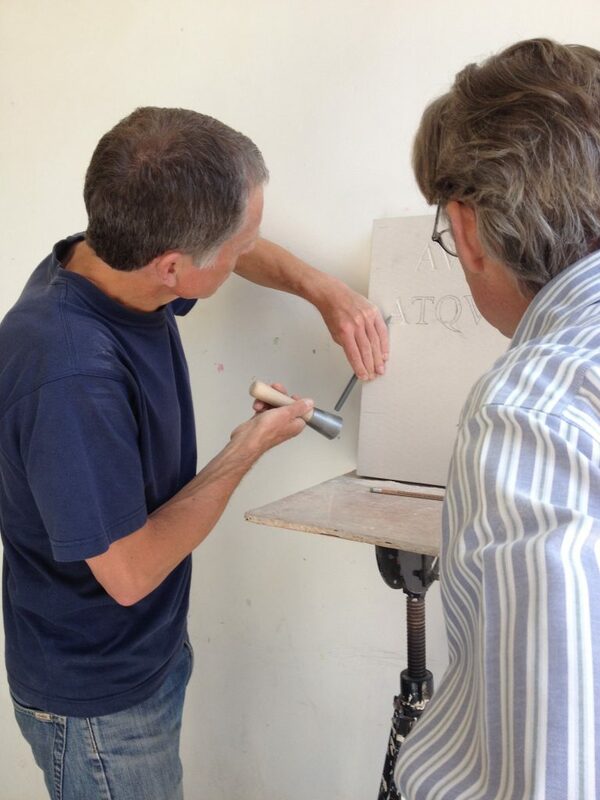 The next Five Week Stone Carving and Lettering Course with Simon Burns-Cox in his studio at The Edinburgh Sculpture Workshop is on Wednesday morning from 10.00 to 13.00 on the 3rd, 10th, 24th and 31st October and the 7th November 2018 or Wednesday 14th, 21st and 28th November and the 5th and 12th December 2018. Maximum five participants and open to all levels. 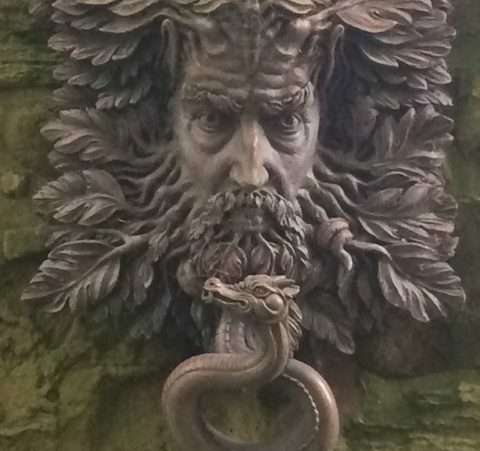 The course will introduced you to The Art of Stone Carving, Bas Relief and Letter Carving and is open to all levels from beginner to those with more experience. The course price for the five week course is £160 with the use of stone and tools included. Gift vouchers are available and valid for 12 months. 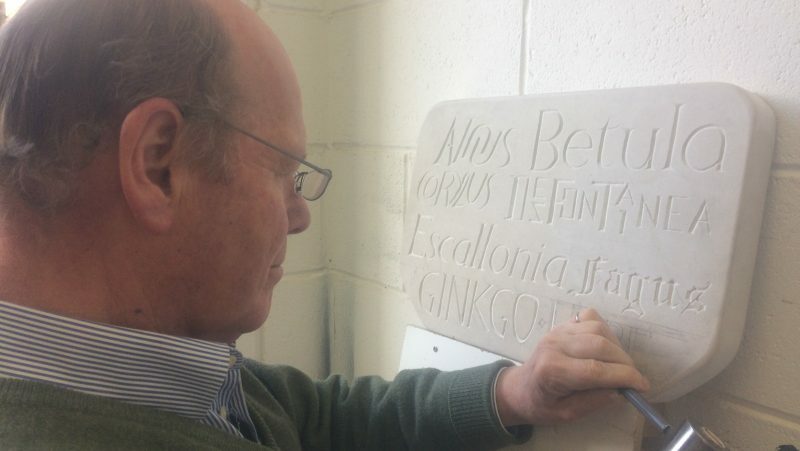 The One Day Stone Carving and Lettering Courses is designed for those who have participated on The Two Day Introductory Course and want to continue or for those who have some basic experience in stone. Complete beginners, however, will also be accepted as the class is small. Maximum 5 participants. The next courses will take place on Saturday 6th October, 3rd November and 8th December 2018 from 10.00 to 16.30. Students can join for one or more days. At the beginning of the session, there will be a review about the tools and how to use them correctly. The student will be reminded about the importance of the V cut and different ways to cut stone. There will be a discussion about what students would like to carve. Realistically, one word is achievable in two days if you have some experience. Students who have already attended a course will continue with their project. Before the carving process begins, there will also be a discussion about style, proportion, spacing and form and the importance of drawing before preparation. We will look at how to transfer your design from your sketches on paper to the stone. Students will then begin to draw their design in preparation for carving. Students will work on their project with personalised tuition and guidance from Simon throughout the day. The course price is £60 for one full day. Stone and tools can be borrowed or purchased. There is a maximum of 5 participants. Gift vouchers are available and valid for 12 months.